Sir Richard Branson unveils nine new irresistible spaces and an ocean-inspired, well-being ethos that will deliver unique onboard experiences. 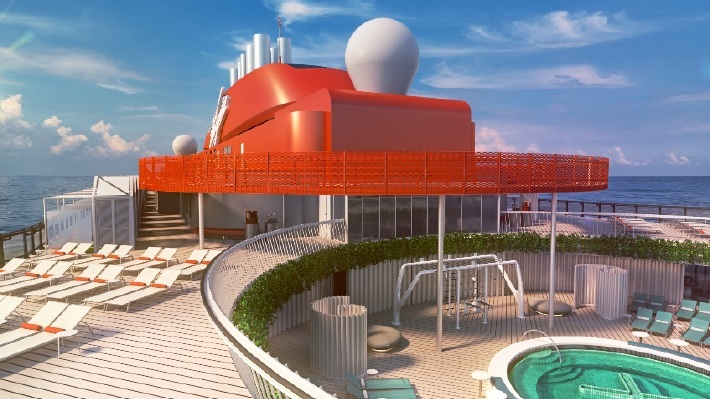 As part of the “Epic Sea Change for All” brand purpose, Virgin Voyages has committed to delivering transformational and rejuvenating experiences for its sailors. Its ‘Vitamin Sea’ ideology is inspired by the oceans and their importance in the health and well-being for our planet and our daily lives. The approach also places healthy travel at the forefront of the delivery of its ‘Adult by Design’ experience for the 18+ sailor. A dose of ‘Vitamin Sea’ is naturally intertwined across the entire ship, with well-being activated through a mix of high-energy moments coupled with relaxation and rejuvenation. A wide variety of group fitness classes on board are all provided complimentary within the voyage fare, allowing sailors many opportunities to revel in their favorite fitness activities or even try something new. 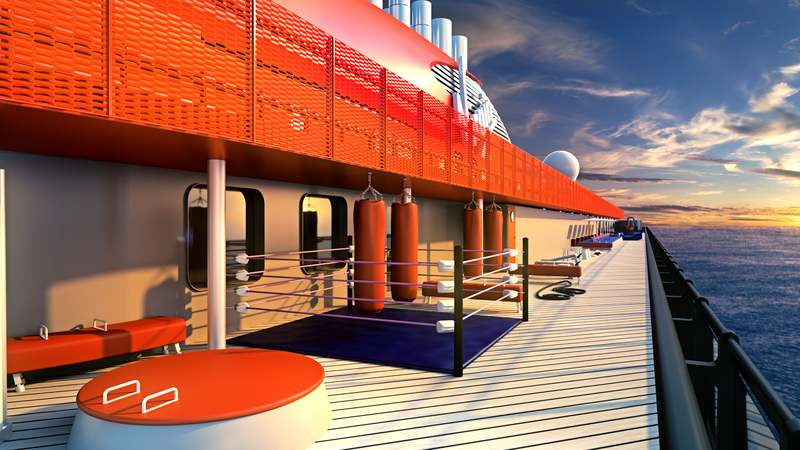 The ship has been designed with ample outdoor and outward looking spaces meant for sailors to enjoy any or all activities. The Crow’s Nest with its 360-degree view is a secluded sundeck for sunrise and sunset yoga. Adjacent to this area of Zen is the signature Virgin red running track called The Runway that forms a halo-like vision over the ship and where sailors will sweat, strut or skate. Designed by Concrete Amsterdam, the rock and roll designers from Virgin’s creative collective, The Crow’s Nest and The Runway link to The Athletic Club. Offering moments of detox and ‘retox,’ the space features an outdoor training zone, including a boxing ring, strength and gymnastics equipment like you’d find in the New York sports clubs of the 1920’s, oversized gaming for outdoor adult play, cabanas for relaxation, and a sports bar for socializing post-workout. The B-Complex features the ultimate well-being and fitness experience with strength, spin, yoga and cardio in its Build, Burn, Bike and Balance rooms, all with dramatic ocean views. For on-demand fitness, the Burn and Build gyms will each be equipped with Technogym ARTIS, a line of sustainably crafted cutting-edge fitness technology. After working up a sweat or finding their moment of reflection, sailors will restore themselves in the serenity zone by hopping in the Well-being Pool and boosting their performance with fresh cold-pressed juices, served at the Gym and Tonic bar. MyBeast, an artistic adult playground and fitness apparatus designed by Equilibria, will add a Venice Beach-like atmosphere to the Well-being Pool. On deck 5, well-being will take center stage at Redemption, the ship’s spa. Inspired by an underwater cave, Redemption will serve as a mermaid and merman hideaway complete with hydrotherapy pool, mud room, salt room, cold plunge pools, quartz beds, and rejuvenating spa treatments. By night, sailors can complete their well-being journey by attending one of the voyage’s evening spa parties where a killer DJ will transform the spa’s thermal suite into a mermaid hideaway extravaganza.